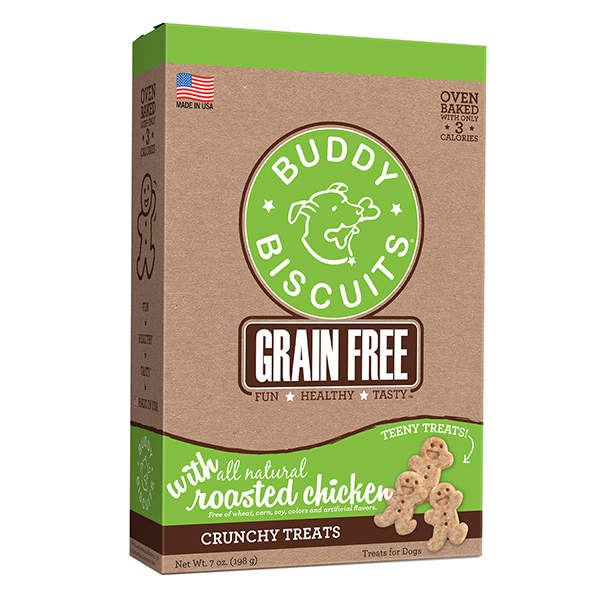 Ingredients: chicken, chickpea flour, vegetable glycerine, potato flour, tapioca starch, flaxseed, maple syrup, glucosamine hydrochloride, spinach, sweet potato, herring oil, phosphoric acid, salt, chondroitin sulfate, sorbic acid, yucca shidigera, ascorbic acid, vitamin E supplement, turmeric, manganese sulfate, vitamin B12 sulfate, citric acid, mixed tocopherols, rosemary extract. Our girl, Maddie, is 16.5 year old Rat Terrier, kidney issues, cataracts, etc. We started giving her 2 per day and what a difference! She is much more mobile, alert and more social. Love seeing the difference it has made. Thank you! Finally she loves ‘vitamins’. My pup is 1 years old but as a poodle breed is prone to joint problems. 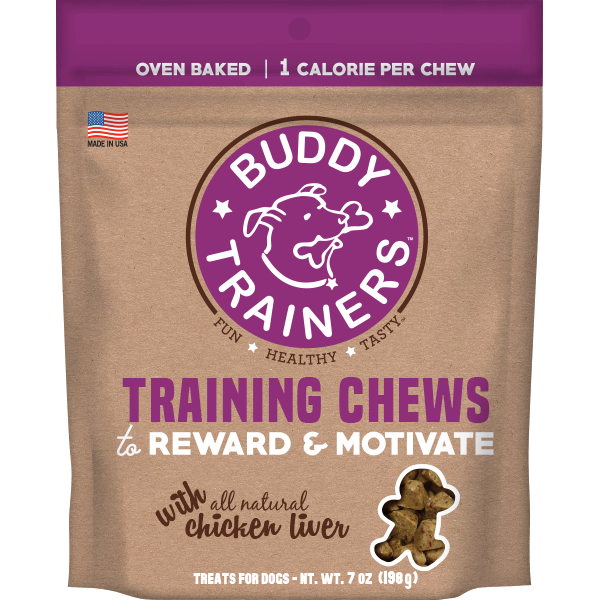 I noticed his legs “click” sometimes and decided to try these treats as a preventative measure for the future. 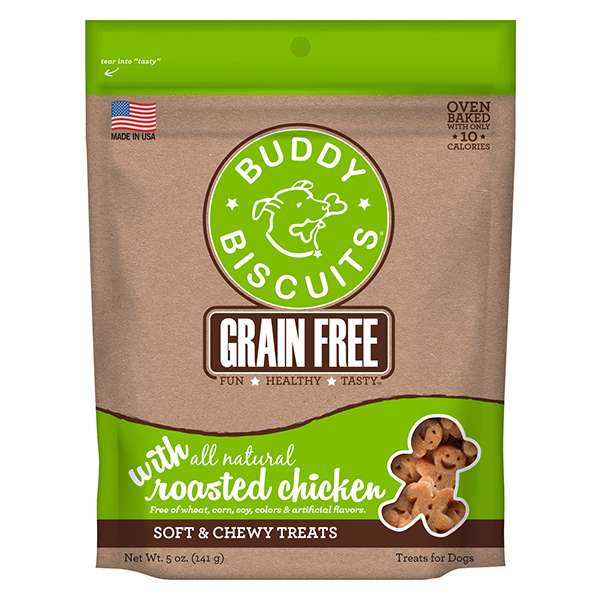 I haven’t hear any clicks since he has used and he seriously LOVES these treats! His face lights up when he sees me get the bag and he hasn’t done that for other treats I’ve given him so it’s a win for me! He is a very active dog who loves to play fetch and run! 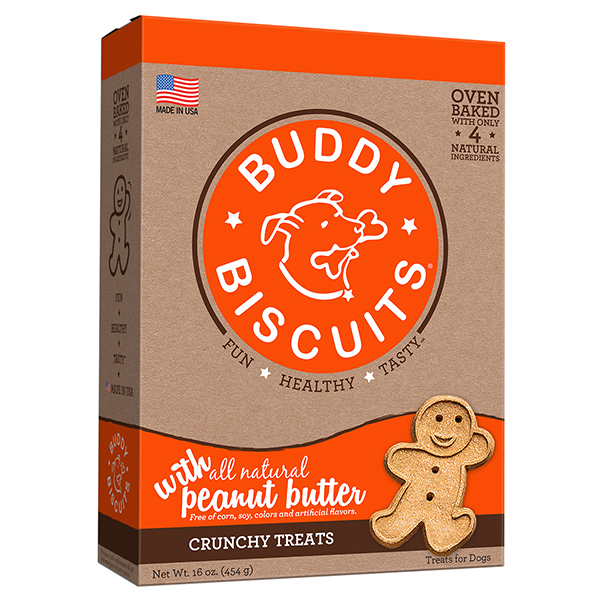 I have an 11 year old Min Pin and he absolutely loves these treats. He was having problems with walking and getting up. I noticed a huge difference in his mobility with taking the hip and joint chews. 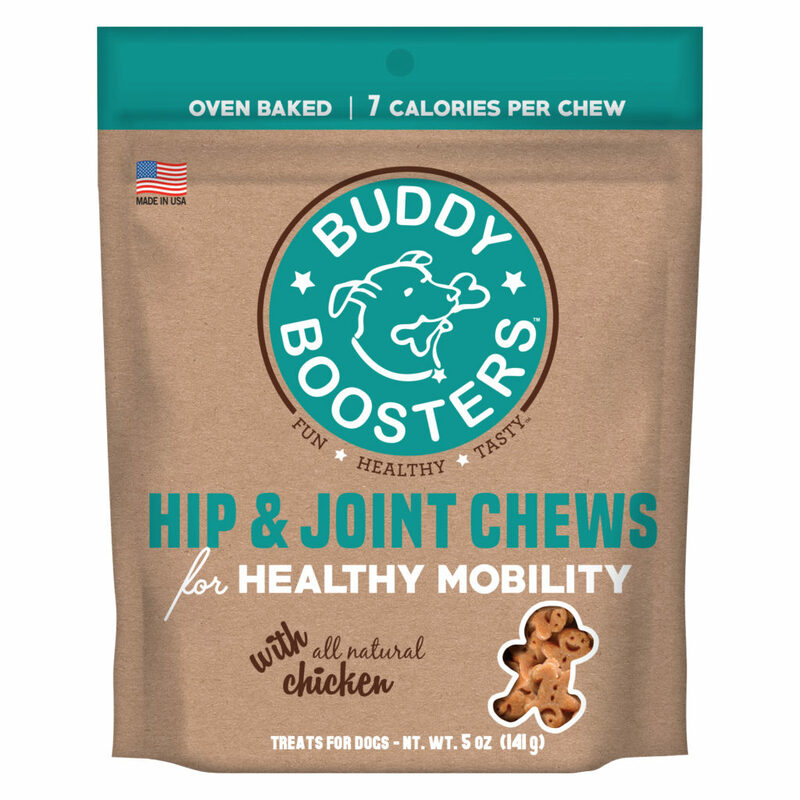 My little chihuahua, Hershey, has arthritis in his back legs, and this supplement really helps him to get around better. I notice a huge difference when he is on these and when I ran out. My boxer seems to like them just fine, but there are no suggested dosing information. I have no idea how many per day to give an 80 pound dog. NO dosage instructions on your product. my girlfriend purchased these and said they are great. Problem is i can not find them anywhere to buy. none of my local stores carry these and i have an older dog that may benefit. That is the only reason for the 3 star instead of 5 star rating. There should be dose instructions per dogs weight. We purchase this product at Target.